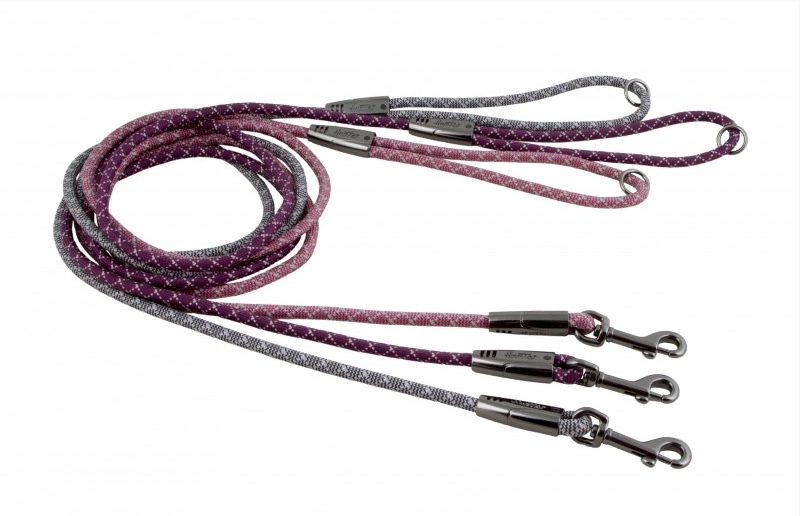 A Nylon Rope Leash that is both very comfortable to hold in the hand, as well as durable. 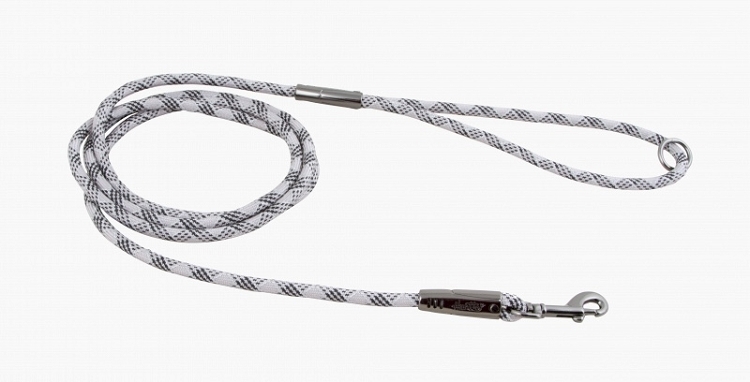 3M reflectors are weaved into the leash providing great visibility in the dark while walking your dog at night. 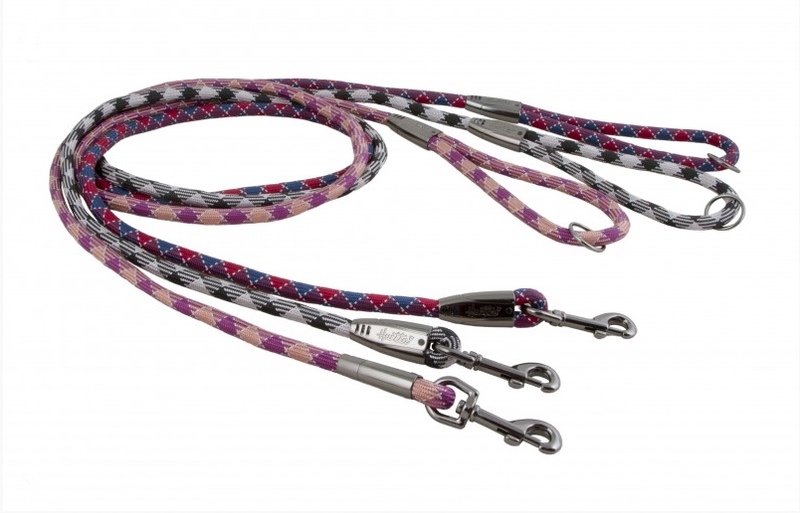 Available in 6ft length in 2 thicknesses 1/2" and 1/3". 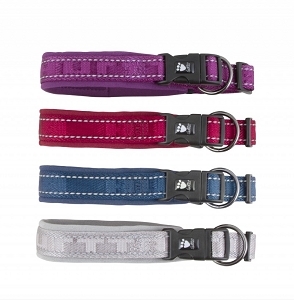 Three great color options to match the Casual collar and harnesses. Q: Ok, in this photo of the pink and purple, it has a 2 color pattern. 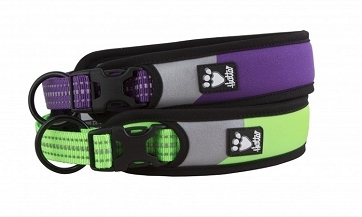 I had it in my hands when I got the two purple harnesses that did not work. 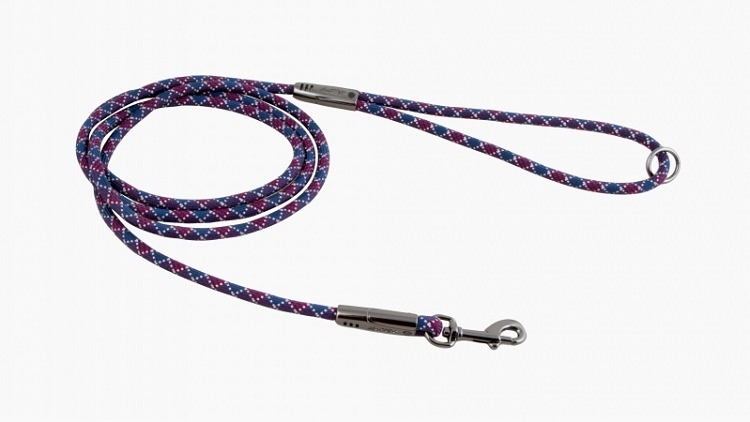 So when I ordered this last one I was expecting this leash. I got one with one color, 2 color threads but no pattern. I called and left a message, emailed with no response, can someone get back to me? I'll pay shipping both ways but I want this one instead.